There are hundreds of color to choose from. Stay focused and quickly pick out the fabric & color that capture your interest. Do NOT spend hours/days to review all colors & fabrics, the more you look, the more confused you get. Stay focused !!! Most popular colors are NEUTRAL (white, ivory, beige, gray). 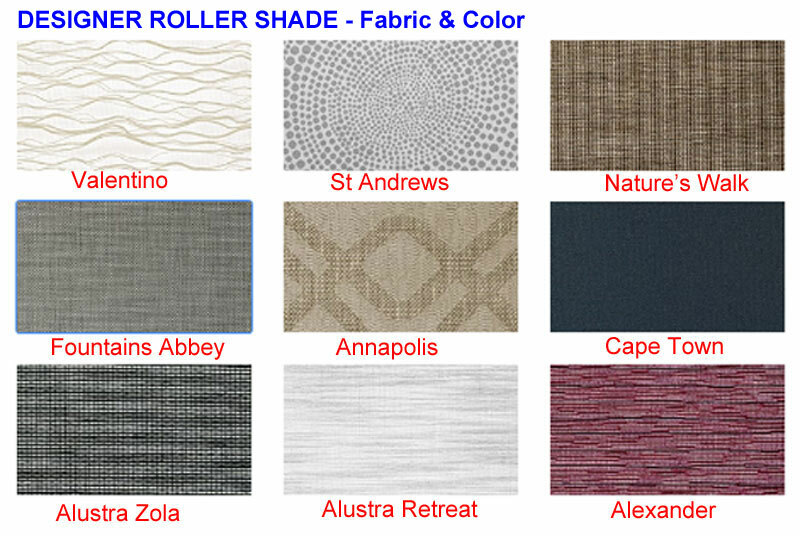 The wide range of color & selections are mainly used by professional interior designers. We all wish BUDGET is never our concern. Reality is: some of us achieve that type of financial freedom. Lots still have a target budget with some flexibility. Before you spend days looking, comparing, fall in love with the most beautiful shades only to find out you cannot afford it (yet ! ), here are some price guide to help you pick what you love. Vertical are popular choice for sliding doors & large windows. The vanes glide across and stacked on the side, so the door is clear to enter/exit. It's lighter & easier to operate as there's NO lifting up (like horizontal blinds). You can request up to 5 Swatches for Free. ADD this item to Shopping Cart, then Check out as usual. At the last step BEFORE Place Order, there's a COMMENT Box, please enter your Fabric selection & Color Name (in Step 1). Then Submit Order.